Just a little something-something from one of our favorite categories here at Thingummery HQ: what the husband scored. "Scored" meaning different things to different people, obviously. This Mighty Men & Monster Maker, made by Tomy in 1979, would certainly be considered a score by any of the 229 followers of the Mighty Men & Monster Maker facebook page, if it were mint in box. Unfortunately, this is far from mint—it only has 6 of the original 18 plates, and all but two are torsos. Sorry, did that not make sense? 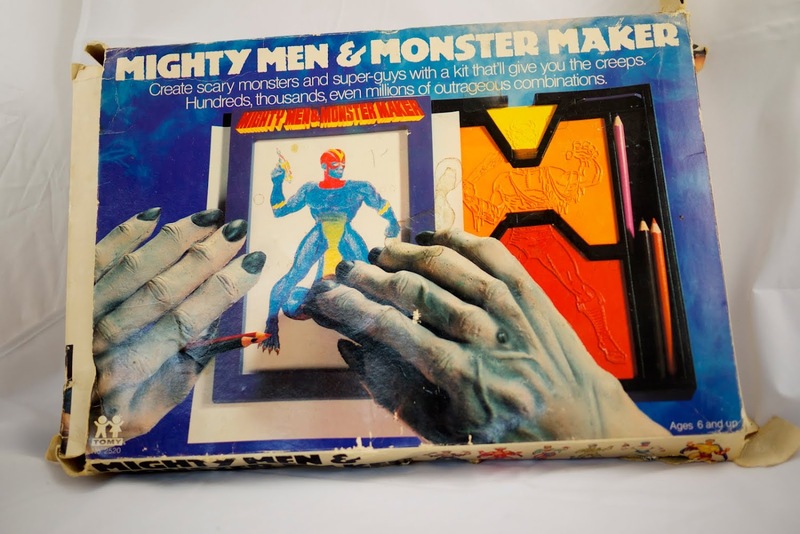 Check out this action-packed video explaining how to use the Mighty Men & Monster Maker for further clarification, but basically this is like doing grave rubbings, with mix-and-match plates depicting the heads, torsos and legs of various Mighty Men and Monsters. 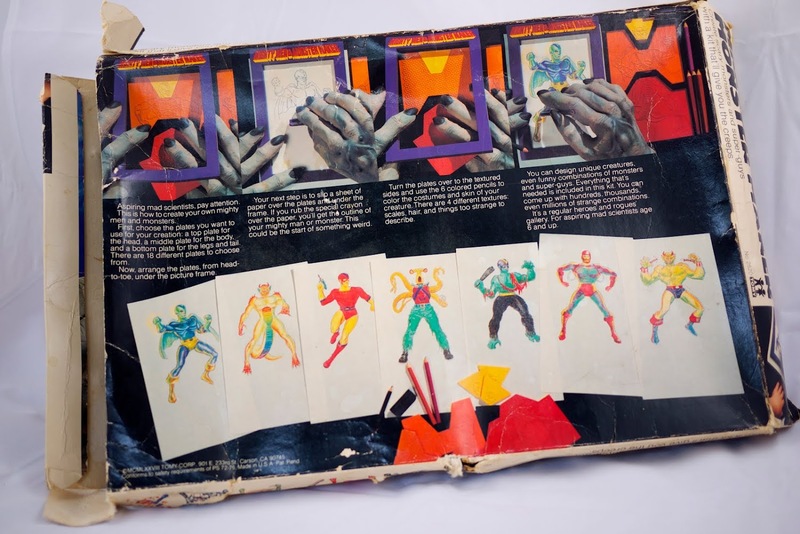 Still, who would presume to put a price on the joy Lindsay experienced upon laying eyes on the Mighty Men & Monster Maker and its $1 pricetag at a supercrusty estate sale? Not I.